Apothocary Jars have many uses for an event. A great way to use them is as a candy holder for your sweets table. These smaller sizes are great for putting sweets directly on a dining table for guests to much on snacks throughout the night! 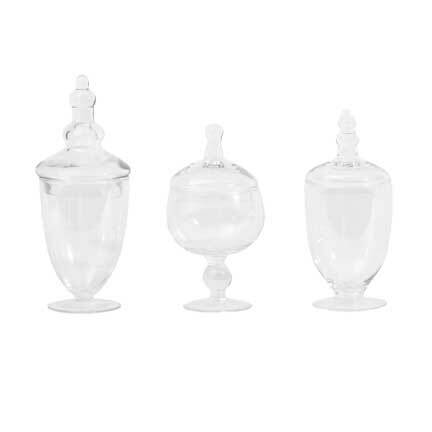 Each Apothecary Jar is rented separately. A scoop for the jars is rented separately for $1.50 each.